Welcome to J.F. 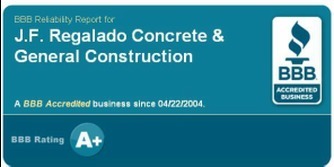 Regalado Concrete & General Construction's website. We have served the Northern California region proudly since 1998. Please take a look around our website and give us a call if you have any questions!